The only thing wrong with this was it turned out to be very salty. Other than that is was pretty good. 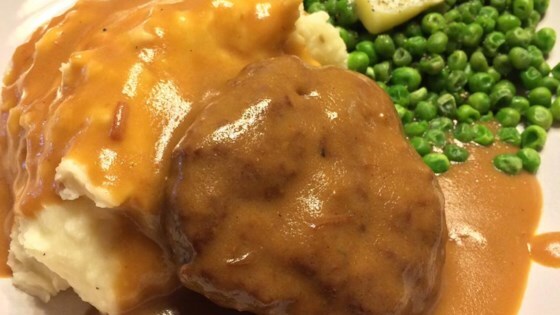 best salisbury steak ever!!! threw in some potatoes cut up small about 1 hour before hand and it came out with meat, potatoes and gravy all together:) yeah! !